A Panama Canal cruise is a bucket list adventure for many cruise fans. One of the seven wonders of the modern world, the famous crossing between the Atlantic and Pacific oceans revolutionized ocean travel with its opening in 1914. The original locks are still in place, still working flawlessly after more than 100 years in an incredible feat of engineering. Choose your cruise based on whether you want to make a full or a partial Panama Canal crossing. 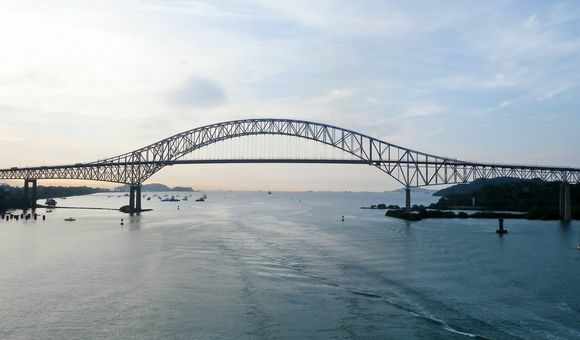 A full crossing is a must-see for any bucket list traveler looking for the full Panama Canal experience, while a partial has the advantage of shorter itineraries and more opportunities to explore the surrounding rainforests and beaches of Central America. Nearby ports of call offer some of the most stunning nature of anywhere in the world. Explore lush tropical rainforests, hike to stunning lakes and waterfalls, and zipline over the tree tops on an unforgettable shore excursion to Nicaragua, Guatemala and more during your Panama Canal cruise. Panama City is the thriving, urban metropolis that is the heart and soul of Panama. The largest city in Central America, it is said to rival Miami as being the "Capital City of Latin America." Panama City can be accessed by ship at the nearby cruise ports, Fuerte Amadore and Balboa, or by a boat or train ride from Colon. Situated on the Pacific side of the Panama Canal, the city has benefited from a century of wealth generated by the canal. Gatún Lake makes up a major component of the Panama Canal. Located near the Atlantic side of the canal, a series of lock separate it from the Caribbean Sea. The man-made lake was created during the construction of the canal by damming the Chagres River, and it plays an important role in restoring the water lost during boat transit from the canal. Lying between two larger continents and surrounded by the Pacific and Atlantic Oceans, Central America is a wondrous belt of islands and lands bursting with rainforests, tropical beaches, lava-spewing volcanoes. Central America boasts year-round sunshine and is becoming one of the most popular regions for cruisers. This precious region offers paradisiacal, white sand beaches and turquoise waters, and promises to be an experience filled with sunshine, culture, and history. Discover vibrant cultural meccas and cities with a rich colonial past! Belize is arguably the most overlooked country in Central America by tourists. Belize ramshackle colonial streets are alive with vivid characters who represent every facet of its ethnic makeup, especially the Creoles. Belize has the second largest barrier reef in the world, so for anyone who loves swimming among tropical fishes and other exotic marine wildlife, snorkeling in Belize is a must! From scuba diving its warm and turquoise-colored Caribbean waters and a gigantic blue hole to hiking an ancient Maya village, Belize city has something for everyone. Cozumel has become one of the top travel destinations in the world because of its spectacular and intriguing attractions like diving along the shallow reefs, hiking through the Punta Sur Ecological Park or exploring what the Mayans left behind at the San Gervasio ruins. Cruise passengers use the island as a hub for Mexico’s spectacular attractions, including marine-life encounters like the baby sea turtle hatching, botanical gardens, and ruins. If you are looking to escape to a stress-free and sunny place that offers a great mix of adventure and fun-filled activities, then you might want to consider Cozumel, Mexico. Book Now Book online or call our experts for all the best deals on Central America Cruises. For other great international destinations why not have a look in Europe or the Caribbean. All cruises can be found on our homepage. If you're after a cheap or last minute cruise, then have a search through each page for the best deals.